Home → Attractions of Turkmenistan → Ancient Merv, Turkmenistan. 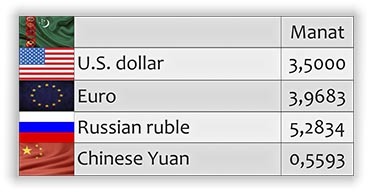 History note. Merv is a group of sites of the ancient town having been arisen and perished. The sites of the ancient town Erk Kala (VI century B.C. ), Gyaur Kala (III century B.C. ), Sultan Kala (X-XIII century A.D.), Big Kiz Kala (VI Century A.D.), Muhammed ibn Zeid (XII century A.D.) correspond to different period of its existance. 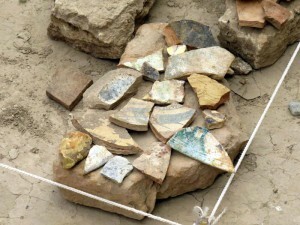 Low cultural layers of the most ancient Merv part (Erk Kala) relates to the VI-V centuries B.C., i.e. to the entry time to the ancient Persian state of Akhmenids. At that timethe city with the area of about 20 ha was surrounded by extensive fortress walls of raw brick. In the IV century B.C. Margiana was conquered by Alexander the Great. At the end of that century the lands alon the Murgab river were a part of the Selevkid state. Antiouchus Soter – the successor of Alexander the Great. The site of the ancient town Gyaur Kala with its area of about 360 ha corresponds to the Antiohiya. 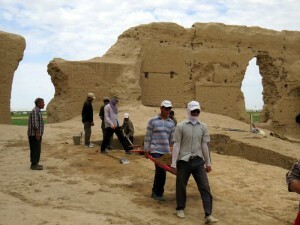 During ruling perio of Sasanids cult buildings were erected. The tolerable attitudeof the Sasanid governors to different religions is one of the peculiarities of that period. Together with the Zoroastrian state religion Buddhism and Christianity co-excited. The forming period of the early feudal relations (VI-VII) in Merv was marked mainlyby the building of numerous fortified feudal country-seats and castles reminding of knightly castles of medieval Europe. 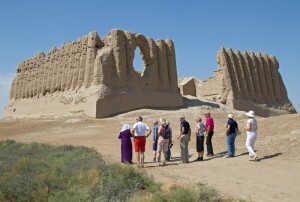 The best example of Merv castle architecture of this period is Big Kiz Kala. 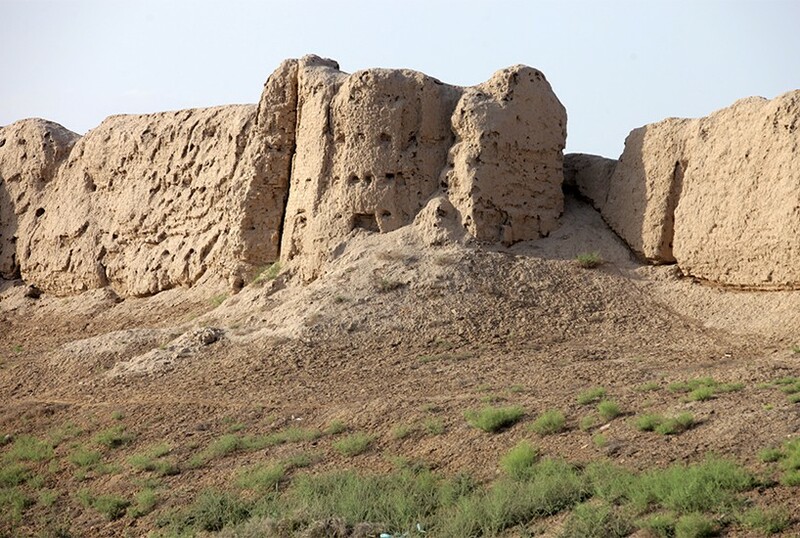 Merv reaches its highpoint of development at Seljuk period, especialyy during the government of Sultan Sanjar (1118-1157) who made it the capital of Seljuk state. During the period of Seljuks large building were built in Merv and its area reached 1500-1800 ha. It considerably exceeded in size not only such famous cities of the Near East such as Damascus, Haleb, Jerusalem, but also large cities of West Europe of the XII and the begining of XIV centuries such as Paris, Bologna, Milan, Naples. Sultan Kala (fortress of Soltans) enclosed with the fortress walls at Melik-Shah (1072-1092) corresponds to the cities of this period. 1221 it was fully destroyed by Mongols. 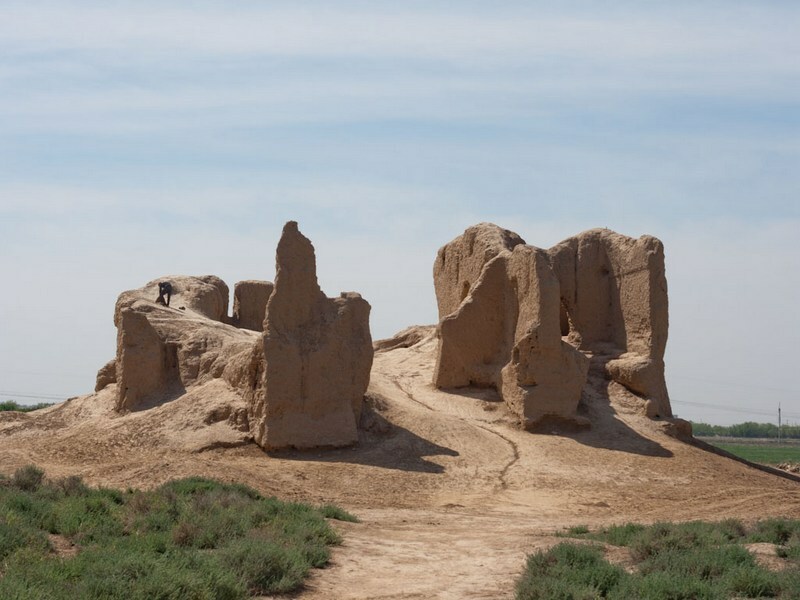 After the Mongol invasion Merv was restored only 200 years later by Shakrukh, a son of great conqueror Emir Timur and ruler of an independent state with the capital in Herat. In 1418 he ordered to settle Merv. Because of difficulties with water supply the town was moved to a new place, 2km to the south of Sultan Kala. 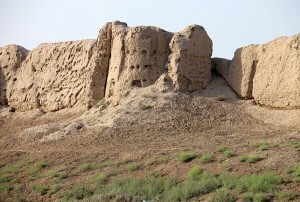 Ruins of Timurid Merv are known as Abdullahan Kala. During the whole XVI century Merv was constantly exposed to raids and annexations by rulers of neighboring countries. In 1510 it entered the state of Sefevids and was conquered by the Sheybanids. 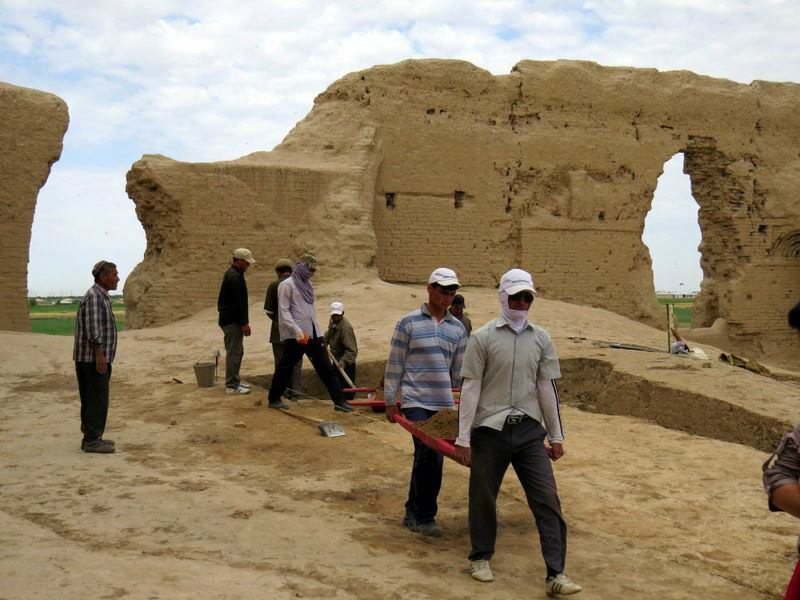 Lack stability let to the displacement of the ancient West-east trade route from Merv in Herat. Only the XVII century passed fairly quietly for Merv thanks to Khiva’s protection. Total crisis in the end of the XVII century and the begining of the XVIII century, however, generated anarchy again. In 1727 Nadir, the future khan of Iran evicted all the people of Merv to Mashad.